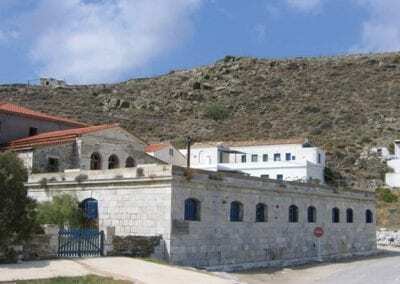 Kythnos in the modern times took its second name, “Thermia” due to its hot springs, which are located in the picturesque bay of Loutra, on the northeastern side of the island. 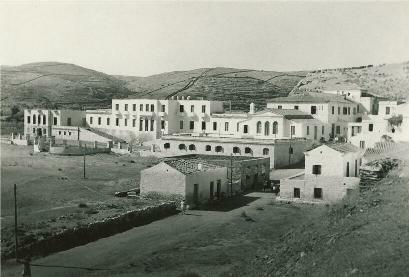 Loutra (baths), which have been a tourist attraction in recent years, host the unique thermal springs of the Cyclades. There are two hot springs. The first is the one of Agioi Anargyroi and it is saline. It is located within a hydrotherapy facility (bath spa) that has been operating for many years attracting a large number of visitors. 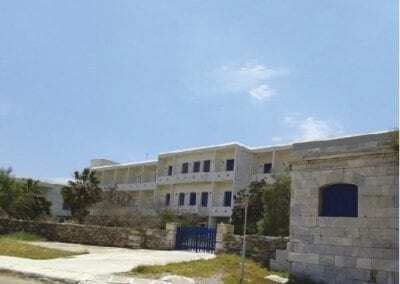 The second which is called the spring of Kakavos, is 50 meters away from the first one, containing iodine, bromide and sodium chloride while its temperature reaches 52 degrees Celsius. It has been scientifically proven that the waters of the springs are indicated for the treatment of rheumatic, arthritic and gynecological diseases. The Loutra Spa was once visited by King Otto and his wife Amalia. None of the ancient writers mentions the thermal springs of Kythnos. Their use was not known in antiquity, despite the fact that in the Archaeological Museum, there is a relief of the 4th century BC which depicts the reception of Asclepius by a local hero and states that there probably was a sanctuary in the place of the hot springs. On the other hand, the version the hot springs were created by a strong explosion of Soros, the dead volcano, , in Roman or Byzantine times, seems rather daring. Most likely, the hot springs existed in antiquity but they were used only in Roman or Byzantine times. This conclusion is reached by the archaeologists because of the existence of various finds: a brick bath that was filled with water through a groove that came from the spring of the Aghioi Anargyroi, five graves around the springs and a small pot made of glass. All these facts show that the baths were used at a time when Christianity was not yet widespread in Kythnos. The ruins of the ancient baths were evident until 1782. Then, a local architect, Konstantinos Zanakis, with the care of Nikolaos Mavrogenis, interpreter of the Turkish fleet and at the expense of the community of Messaria, built a vaulted pool instead of a bath and a locker room at the source of Aghioi Anargyroi hot spring. Since then, there has since been a built-in inscription, which reads: “Construction by the gloriousness and the boldness of the kindhearted and foreseeing lord dragoman of the large fleet Mr. Nikolaos Mavrogenous. APRB July 28 KH “. The precious “water of Kakavos” remained neglected by the Kythnians. They believed that the devils of hell were working down there and that the Kokkina, the place where the hot springs were found, was the home of fairies, which many of the locals claimed to have seen dancing and singing. The locals used the springs for washing and pressing woolen handmade rugs and carpets. 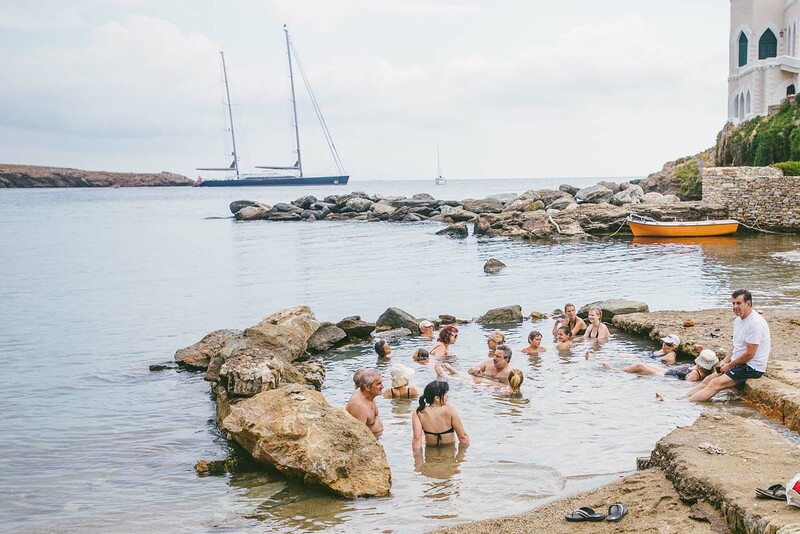 The importance and the therapeutic merits of the hot springs of Kythnos were first found by the German doctors and chemists who accompanied king Otto to Greece. With their own recommendations, the reservoir of the spring of Aghioi Anargyroi was scientifically constructed in 1838. However, in 1830 and 1833, chemical analyses of the water took place and proved the healing potential of the springs. 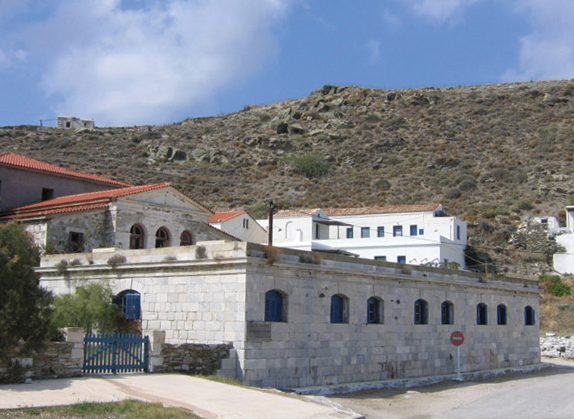 In 1836, the Royal architect Christian Hansen along with his assistant Laurent, arrived in Kythnos and made the construction plans of the thermal bath complex. 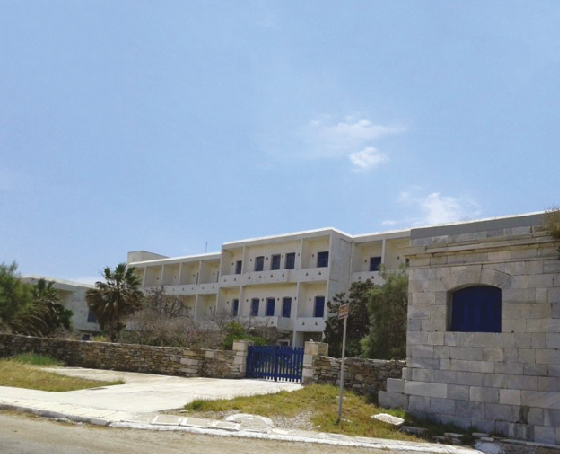 The government’s wish, at the suggestion of the Medical School, was to modernize the facilities. 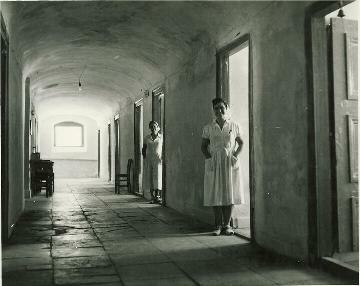 Their goal was the construction of a structure consisting of special baths near the springs and healthy and appropriate patient rooms, fully harmonized with the building of the baths. Ultimately, Hansen himself did not build these buildings because he had undertaken to design the University in Athens, which had begun in 1836 and was completed in 1864. Laurent undertook to complete the project whose construction began in 1839.